An extensive knowledge of Human Resources legislation is a key part of employing staff. We understand that for busy, hands-on managers this, especially in smaller companies, can be a very time consuming task. That’s why we offer a comprehensive HR service to take some of the weight from your shoulders. Workplace Pensions. The changes to the Working Pension Scheme are detailed and complicated. All companies need to put a plan in place, and we can help, from finding out your incorporation date and dealing with your automatic enrolment which is required at least 4 months prior to commencement. We keep all of our clients up to date with the implementation date, whilst our system generates all the reports for companies to balance off the figures to be paid over each month for employees and employers. Contact us for more about Workplace Pensions. Employment Law. Employment Law is constantly changing and many consider it something of a minefield, often just hoping that they are doing things correctly. This can lead to big problems such as costly employment tribunals. In this area, the only way is the right way, which is where we can help. We aim to keep all our HR clients up to date with employment law legislation. Our team regularly attends relevant employment law courses to ensure they are up to date, meaning that you are too. Up and coming changes: we advise all our clients of up and coming legislative changes in key areas, including: the minimum wage, pensions and apprenticeships. 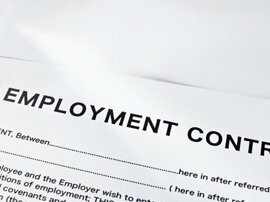 Contracts of employment: we can produce all of your contracts of employment, and, if we look after your payroll too, when there are any salary changes, etc., we automatically update the relevant contract. We record all holiday and sickness pay, so that you don’t over pay on holiday entitlement, and also record all paid or unpaid sick leave. Grievances: if any grievances arise with an employee, we guide you all the way through the process in order to protect your client and the employee, so that the grievance can be dealt with amicably. We will advise you on the correct procedures, step by step, and produce any written warnings or confirm any necessary documentation, as required. Maternity leave: When dealing with Maternity Leave, we take you through the whole process from the start by informing you and your employee of the legal requirements and duties of both parties. We also carry out a risk assessment, if required, from the start, and continuing throughout the leave period and after return, should the staff member wish to come back.